Update: A video of the battle thanks to Legofan Cy! At 2:30, Eastern Standard Time, I found myself in a great place. 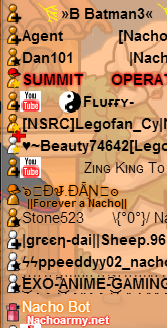 I was on a chat with the soldiers of the Nacho Army. We won the quarterfinal match of the Champions Cup. 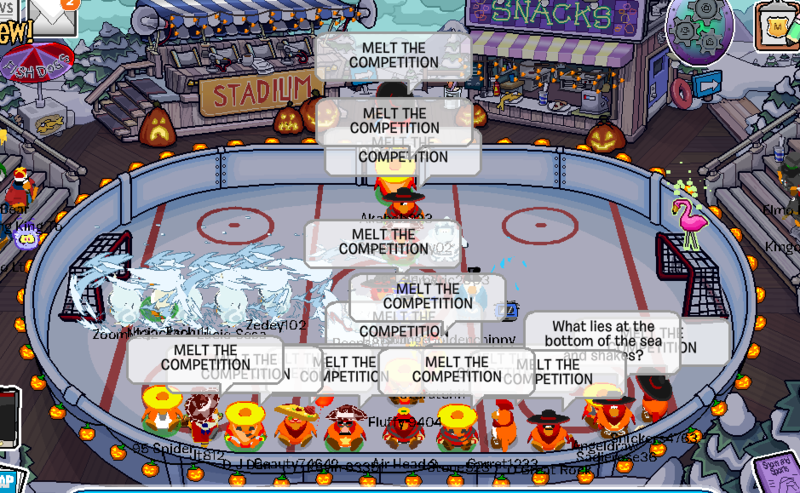 Today, we were tasked with battling the Snow Ninjas in the Quarterfinals of CPAC’s Champions cup. 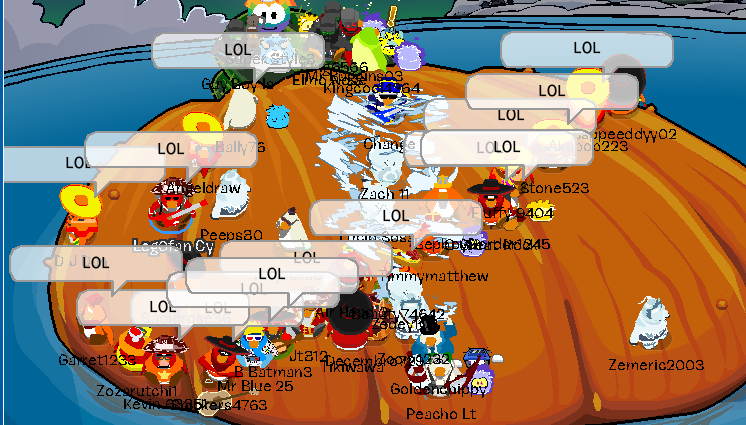 We logged on and from the beginning we took the lead. In my opinion, our tactics were close to perfect, our size was a big improvement from last week, and the Nacho was spirit was the best it’s been in awhile. 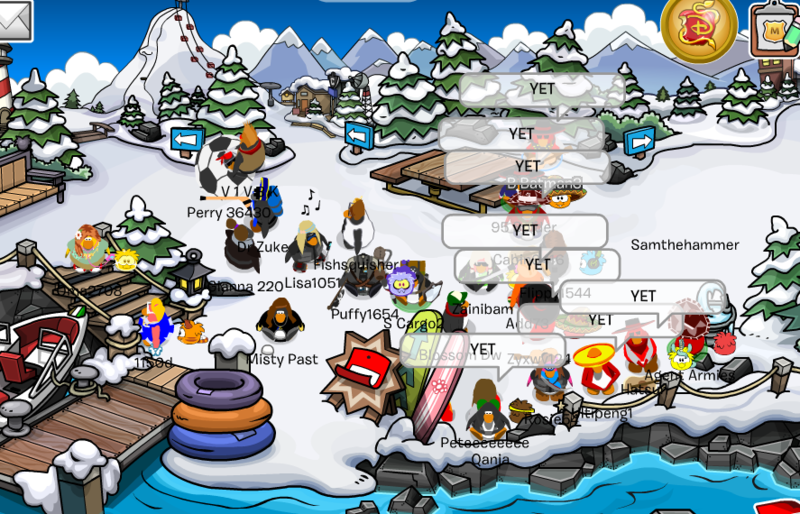 We started at the Dock with a few warm up tactics, and quickly made our way to the Ice Berg. There, we dominated in formations, size and tactics. 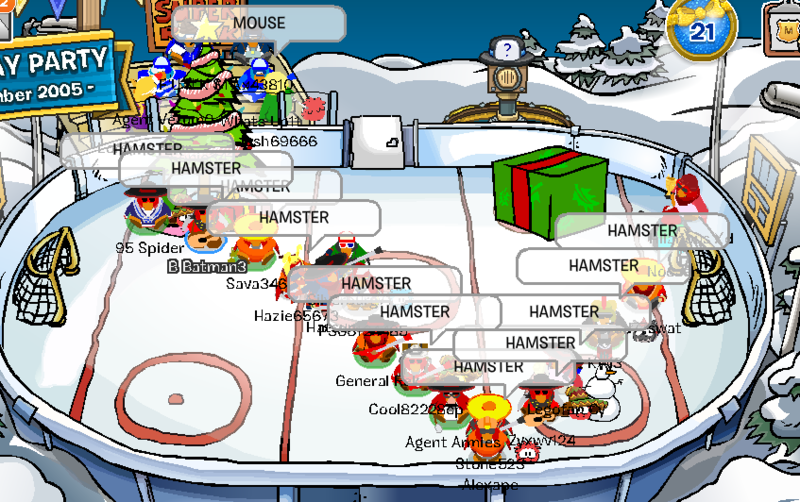 After about 15 minutes of that, we made our way to the Ice Rink/Stadium. 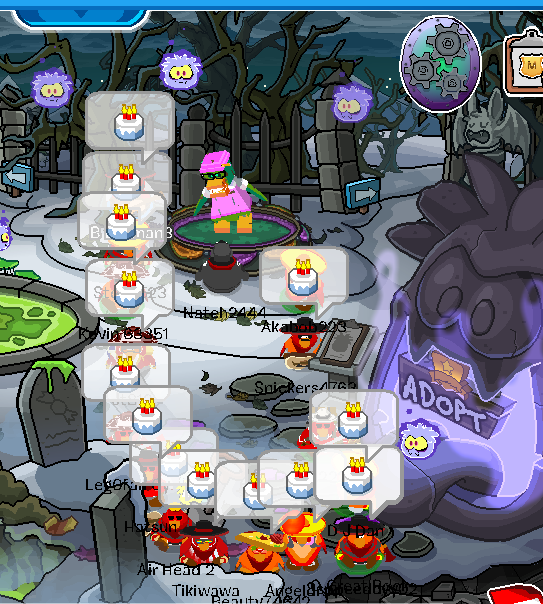 We immediately made a large formation giving SN little room to make theirs. There, we also dominated in tactics, formations and size. From there, Zing named us the victors of the quarterfinal battle. 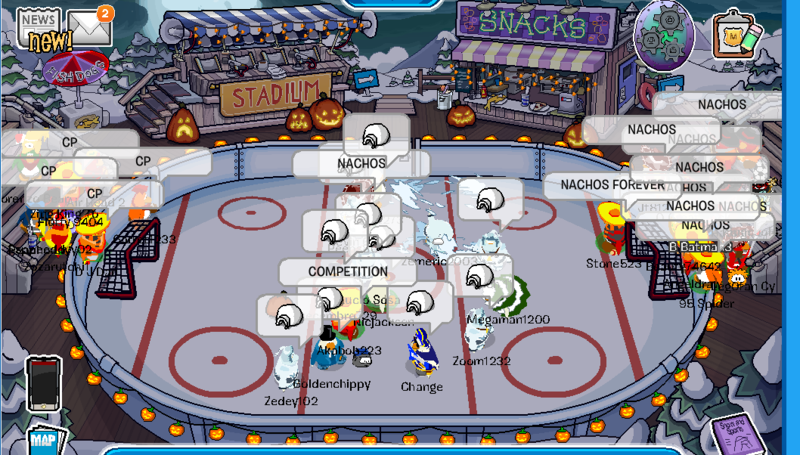 Now Nachos, we are now two battles away from victory. We will make history as the greatest comeback story since the Ice Vikings. 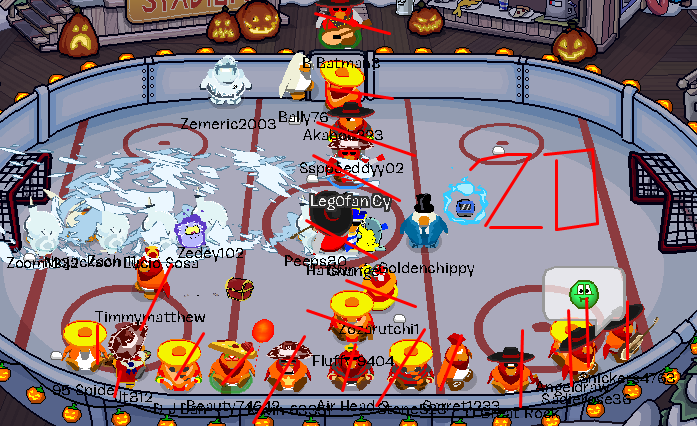 We maxed about 20+. 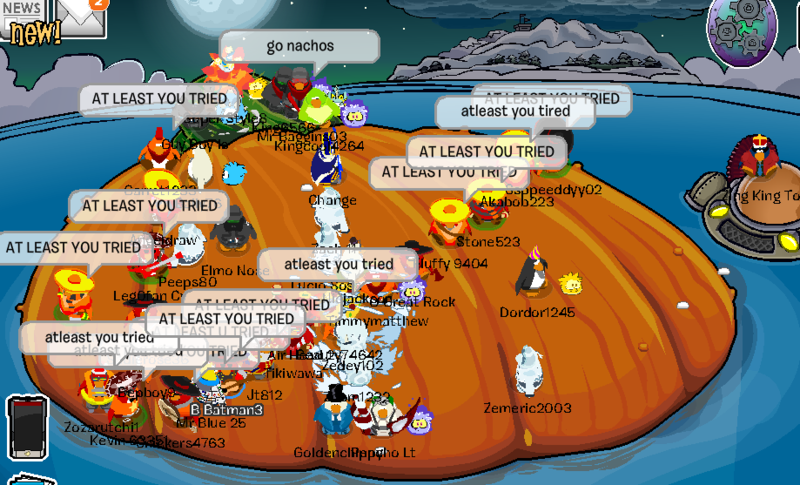 Good work Nachos. 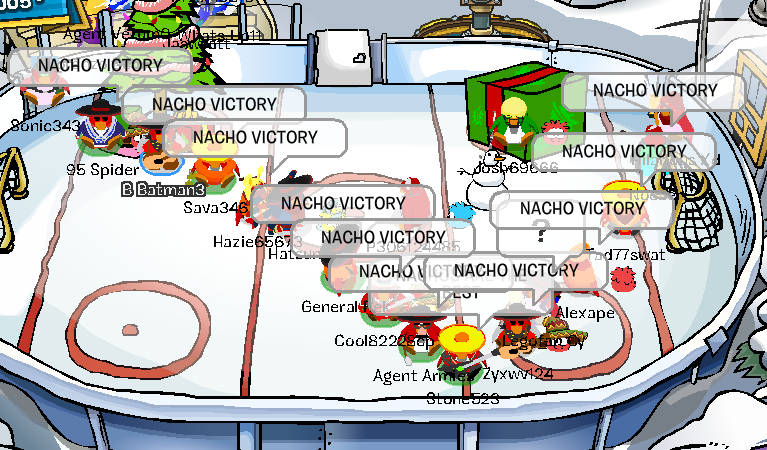 Every Nacho was excited to be here and did their job. 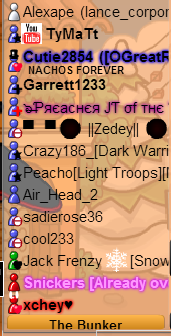 You guys did very well with formations, especially you new guys. Our leading of tactics needs some work. The chances are, I missed some of you. 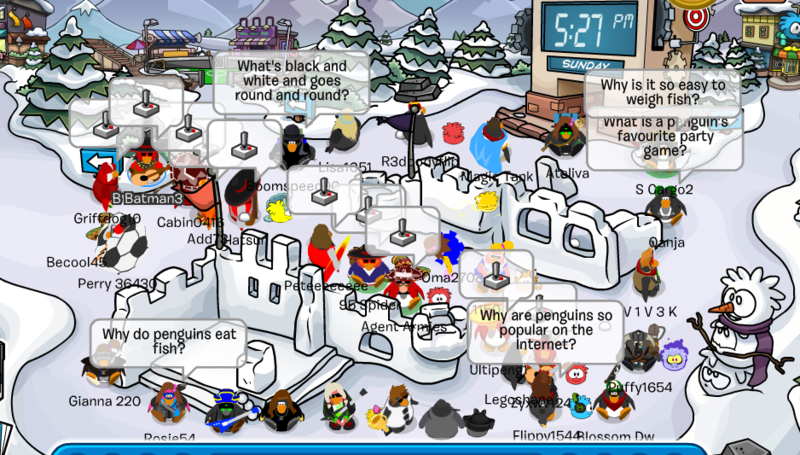 If I missed you and/or you feel you deserved a promo and didn’t get one, comment on this post or speak to me on chat A.S.A.P. Enjoy your promos and the rest of your weekends! Today we moved on the top place of our group, having 3 points while the other 3 armies have 0! 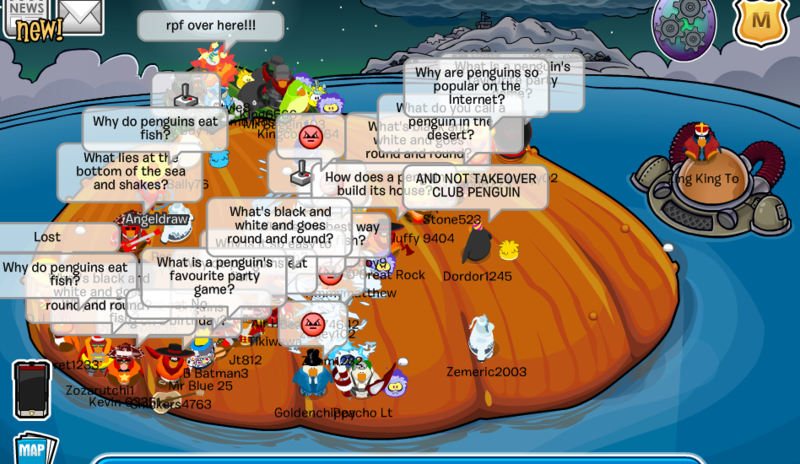 We defeated the other evil orange army called the Doritos of Club Penguin. 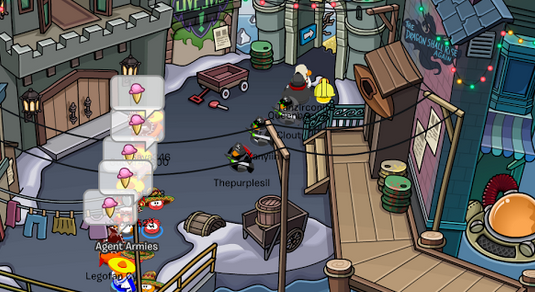 The Doritos refused to log on club penguin so we instantly got the victory. 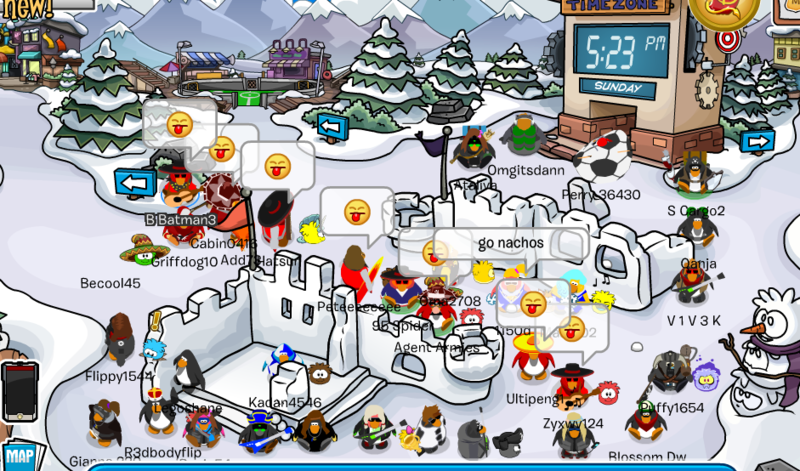 We maxed A LOT of soldiers for the Nachos, especially for when a hurricane is passing through the east coast of the United States and tons of our troops were affected. 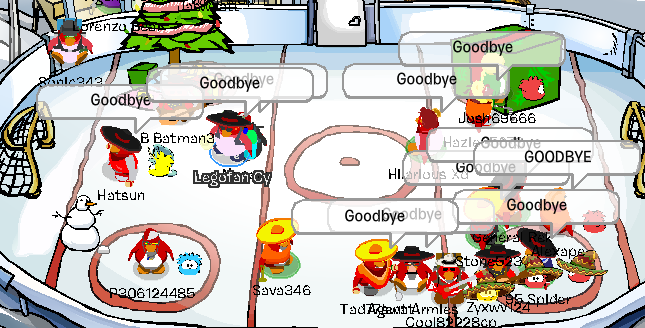 Anyway, GREAT JOB NACHOS!!!!! As promised, there will be promotions later today. We were going to do them October 1st, but we thought it’d be better to do them after today. 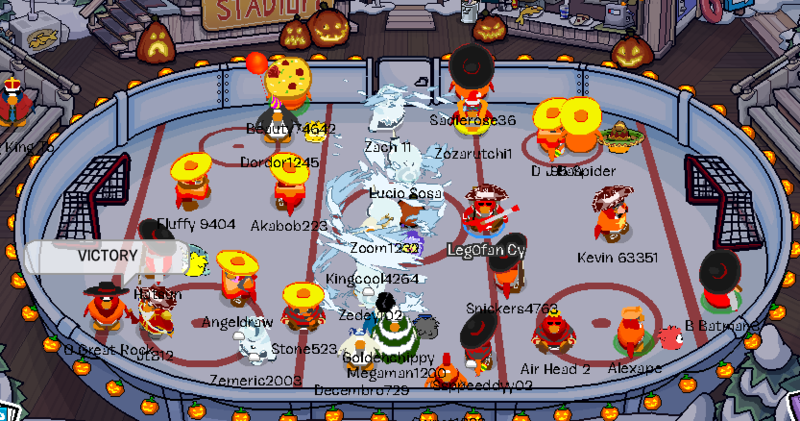 Agent and I just knew you guys would make us proud at this event. 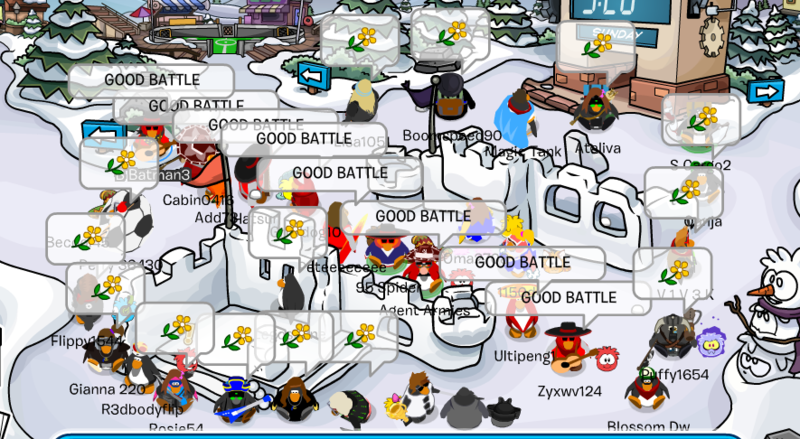 Anyway, there are some nice pictures from the battle below. Our max was 18 soldiers and our average was 14. Good work Nachos. 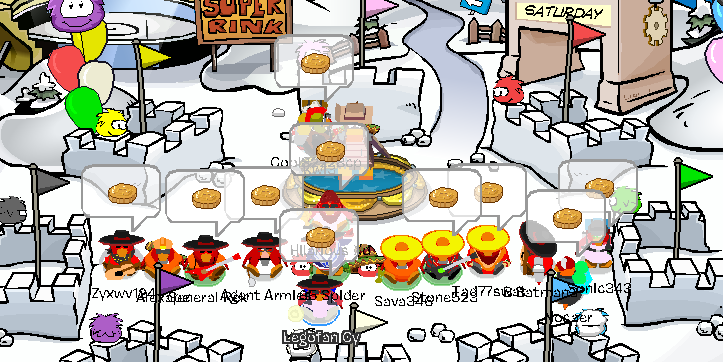 Today, the UK division of the Nacho Empire logged on to fight the Rebel Penguin Federation. 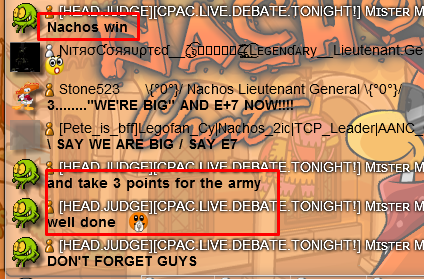 While both armies were fairly matched, the Nacho Army were still able to squeeze out a win. 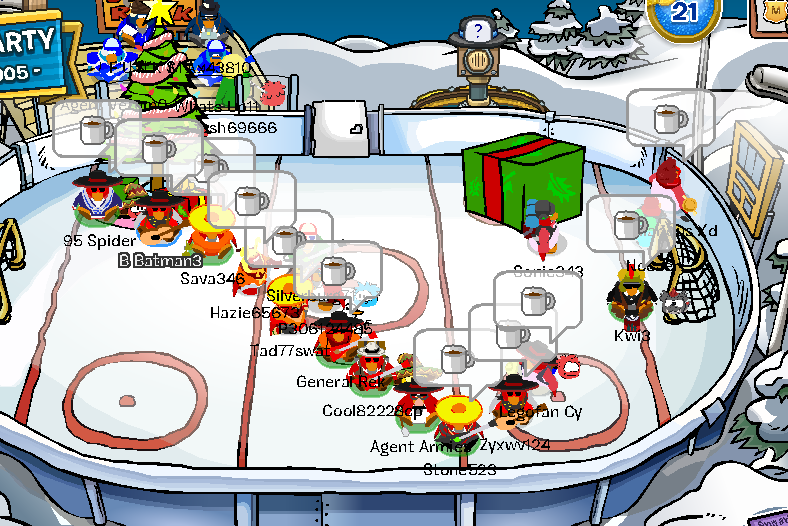 Good fight RPF!